This Eatery In Killdeer Will Surprise You! What seemed like a very odd name turned out to be one that made perfect sense. A Rancher, A Biker, An Oilfield Work, and a Grandma…..
What do a rancher, an oil field worker, a rider, a mom, a businessman, and a grandpa have in common when they are thirsty and hungry in Killdeer, North Dakota? The Pipe Killdeer. Some may know 2 7/8 as the diameter of oilfield tubing pipe. I didn’t. But then after a long motorcycle ride on a hot day down North Dakota highways 200 and scenic 22 (wow…now, that’s another story! ) the sight of other bikes in front of a food and drink establishment provided me that information. The goal in stopping was to rehydrate, cool down, and grab a bite to eat, then be on our way. That’s not exactly the way things unfolded. We got more than we were looking for when we stopped at The Pipe Killdeer, North Dakota. Menu items surpassed what we had expected and easily met our needs. The menu at The Pipe presents basic items as well as a Sunday Brunch. The Pipe Killdeer is a hometown place which welcomes all who enter. It is, in fact, homey. The service is fast and knowledgeable, top notch and local! While we were planning to grab a quick appetizer, accompany it with a beverage, and hit the road again as fast we could, that’s not what we did. As we began to visit with patrons at The Pipe, hard-working people from many walks of life, we knew that this place should become a part of our plans for the day. The relaxed, friendly atmosphere felt good! Then the personable waitress brought us menus. We instantly understood why The Pipe had been so highly recommended by so many. The choices covered our desires and more. The mention of homemade desserts cinched it. Two hungry riders looking for a substantial but simple, quick meal were pleased when these items arrived, not long after they were ordered. Before we left The Pipe, well satiated and rehydrated and rested, we discovered a hidden treasure chest of local information. Many had recommended the 2 7/8, The Pipe, to us especially as it has come under new management and good changes are taking place. Indeed, we wondered in through the south door and found ourselves in the midge of remodeling. Improvements are being made in regards to the property itself. Also highlighted to us was the friendliness of the new management. We found that to be a huge understatement! Nanette Edmondson, one of those new owners, gave us the low down not only on The Pipe Killdeer but on the history of the Killdeer Mountain area. She’s lived there, ranched there, her entire life and showcases the hard work ethic of those generations of her family which settled the area originally. Nannette knows the area and she knows the people of the area and she knows the history of the area. “Hold on just a minute. I think I’ve got a book you would like to read.” I was delighted to see Nanette presented a book about the life of a local rancher, a very personal memoir of the area. How many eatery owners, or any stranger for that matter, would loan a book to a patron passing through? Nanette did! This was blue-collar, rancher, cowboy, business owner, dirt-under-the-nails hard worker hospitality at it’s best! Once engaged in conversation about the Killdeer-Grassy Butte area, it was hard to step away from Nanette and The Pipe. When we finally did, I felt as though I had made a new friend. One whom I’ll see again when I return that special book. Arthur Cornelius Olson grew up on a ranch near Killdeer Mountains, North Dakota. His personal memoir details military service and ranching successes, and a life of hard work. The Pipe should be a stop for anyone wanting to rest, cool off, grab a quick bite to eat or spend time leisurely dining and to meet friendly, hard-working people. Take time to visit with the people working there, and ask questions about the area and its history. The Pipe Killdeer is a must stop for those passing through the Killdeer Mountain area. It’s the real deal! No matter how hard you’ve worked, take time to sit a spell at The Pipe Killdeer. Learn more about another oasis of rest and relaxation just a few miles from Killdeer. Click here. Read about the brand new Killdeer Mountain Rodeo Grounds here. 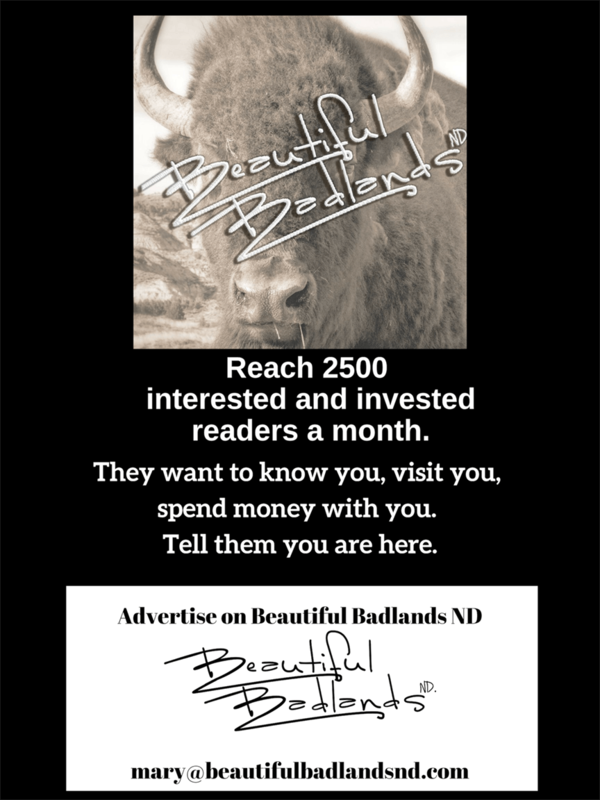 Join us on Facebook as Beautiful Badlands ND. Subscribe to read our stories and learn about events. Do that at the upper right corner of this page.